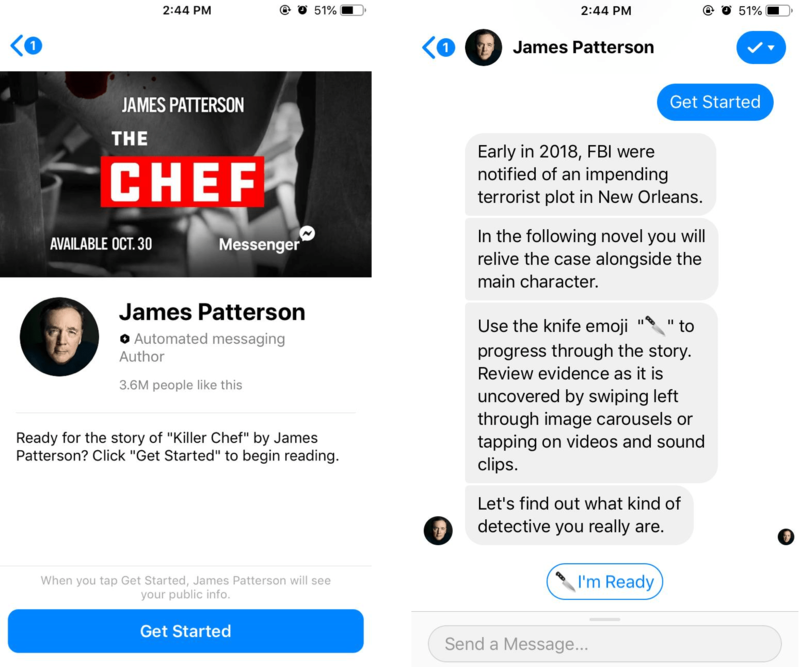 Facebook Messenger and bestselling author James Patterson have teamed up for an interactive reading experience of The Chef. 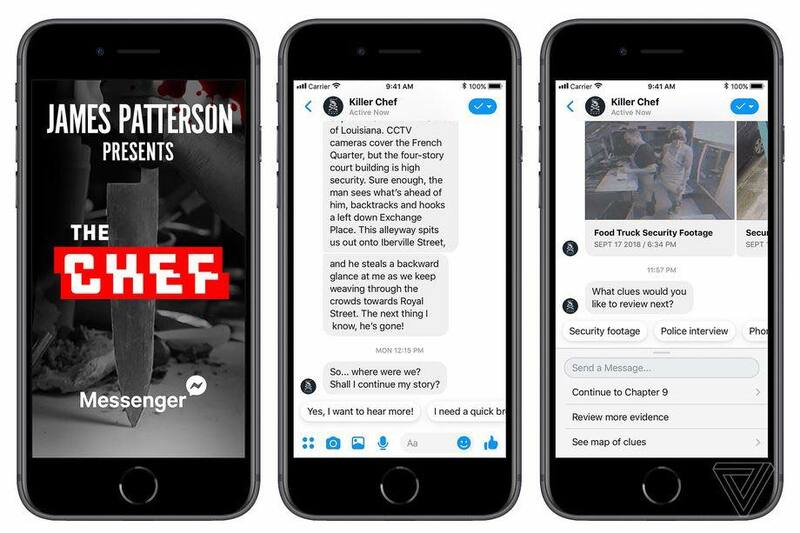 If you’re a James Patterson fan and can’t wait to read his upcoming novel, The Chef, you can now read it via Facebook Messenger. And no, it’s nothing like any ebook experience you’ve ever had before. Facebook released a first of its kind “digital novel experience” based on Patterson’s The Chef, which will be available in stores as of February, 2019. Patterson, who has sold more than 375 copies of his work, was the first author to ever sell one million ebooks. The novel follows a New Orleans celebrity chef and police detective Caleb Rooney, who has been accused of committing murder while on duty. While trying clear his name, he discovers a that a terrorist attack is being plotted against the city. Now he has to save both himself and the city. The book was released today, October 30, and can be found by opening Facebook Messenger and searching for James Patterson. After you click to advance to the chat window, click “Get Started” in the bottom of the page and the story will begin. Along with a readable narration of the story, readers can also interact with some of the characters and locations in the form of videos and soundbites from the novel. While ebooks have gained popularity over the last decade, many people still prefer hard copies over small screens and tablets. But this seems like a brilliant way to make reading ebooks more interactive and engaging, delivering a sense of belonging to the readers.